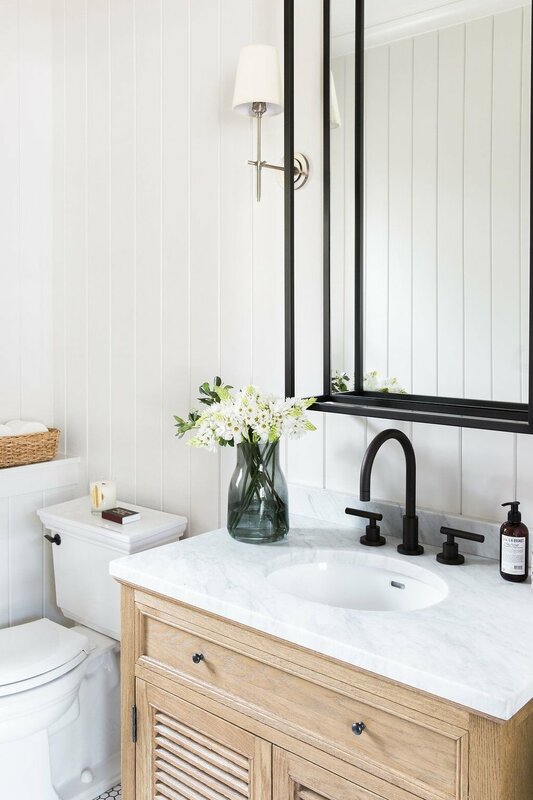 This bathroom from our Park City Canyons Remodel is one of our favorite transformations. To save time, we kept the plumbing systems and overall layout the same. We chose to invest in the finishes and decor pieces to brighten the bathroom and completely change the vibe. With a neutral, two-toned color palette the bathroom feels high-end, clean, and luxe. We invested in a beautiful vanity, a chic industrial mirror, and streamlined wall sconces. Combined with white shiplap walls and hexagon tiles, the space feels brand new.